Check out the great deals in our Clearance section! Up to 40% off on Crown Molding! Free Shipping On Clearance Ceiling Medallions! Different look, same great prices! 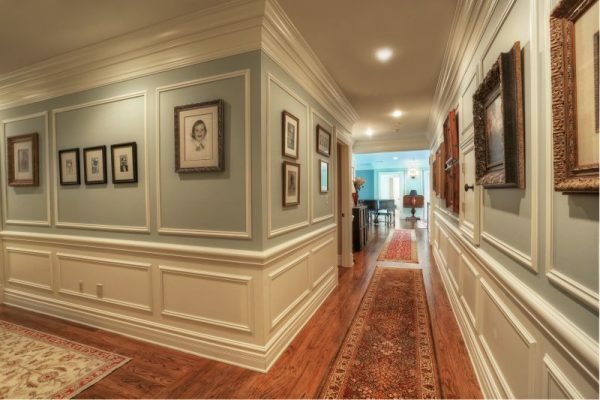 Crown-Molding.com has the largest selection of moldings and millwork on the web with over 6,500 products including crown molding, porch columns, column wraps, fiberglass columns, polyurethane balustrade systems, and other great finishing details & architectural trim. Our mission at crown-molding.com is to provide exceptional service and price to our customers. We started in 2003 and have grown to be the go-to destination for tens of thousands of homeowners, contractors, and businesses. It’s pretty rare to find prices lower than ours but if you do, we offer a price match guarantee! We are dedicated to providing you with the highest quality of customer service and being your favorite place to shop online. Thank you so much for the beautiful crown molding and the advise that you offered in not using the corners. Now that I understand the process better, I am delighted with the outcome. We will use you again. Great Prices, Everything All In One Place! Our company has now purchased over $50,000.00 in products from your outfit in the past year. We have found your service and products to be wonderful in all regards. Now that you also feature Fypon moldings, you will be seeing even more of us. Keep up the good work. I want to thank you for your prompt response to my order issues.Your service helped to cement my decision to use your company for my ceiling medallions (I placed the order yesterday)!Once my kitchen cabinets are finished, I plan to use Profile Supply for any other decorative touches I plan to add.Thanks again! I don’t know why anyone would buy balusters anywhere else. They’re beautiful, obviously solid and installed great. My contractor says that he’ll be using you again. While I am the builder in the family, my wife has been nick named the internet scavenger for the kind of deals that she is able to turn up. We have now flipped over twelve homes in the past 8 years, all valued at over $500,000.00. Since we found Crown-Molding.com, we have saved literally thousands of dollars in mill-work and columns. On our most recent project, the best that [my wife] could find for Columns and Balustrade alone was going to cost us about $60,000.00. Crown-Molding.com supplied these for $44,670.00 and two weeks sooner than anyone else could. We just sold the house for $873,500.00 with more in our pocket thanks to you. You will be hearing from us again very soon. 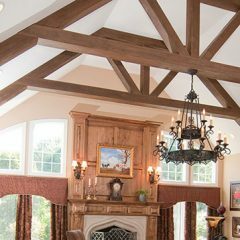 Crown-Molding.com has the largest selection of crown moldings, and millwork on the web with over 6,500 products including balustrade systems, dentil molding, faux wood beams, exterior vinyl shutters, ceiling medallions, fypon column wraps, fiberglass columns, and other great products to improve your home.